My gesticulating here was probably to assert myself on matters of extreme importance. After all, I was the key man of the occasion and I was jolly well going to make the most of it. Art Directors have trouble in becoming famous. Nobody knows what they do. Nobody cares. But now, here on the premises of Kodak Limited (my employer) where the company’s advertising and promotional work was done, I had absolute responsibility for the safety and reputation of nothing less than the world-famous Barnato Bentley. I knew nothing about racing and very little about cars. I knew how to blow up the tyres on my Morris 8 but that was about all. 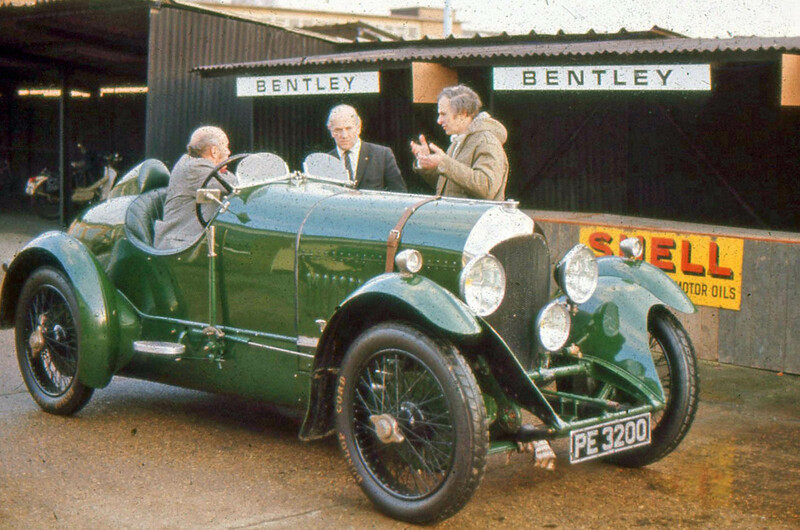 I simply understood that millions round the world found racing cars fascinating and practically adored the Barnato Bentley. So it was ideal choice as the eye-catcher for whatever ‘Kodak’ product, or perhaps service, was being advertised. I have a feeling a new ‘Kodak’ medical X-Ray film came into it somewhere. And I knew the man who owned the Barnato Bentley. I got on the phone and asked him if we could hire it for one day. Bless the man, he agreed. I’d had a word with the company Maintenance Manager and told him I wanted to turn the employees’ cycle sheds into a part of a racing circuit’s pits. He stroked his chin, and said OK. I think he had an idea I was going mad. We hired the necessary props, the car was delivered, the picture was shot and the ad appeared in the appropriate magazines. But I became no better-known, received no prizes and settled for being grateful to have the job of art-directing. The photographer was a speedway fanatic and was enormously grateful for the chance to sit in the actual vehicle. I need hardly add that this grabshot of him at the wheel made during the job by his assistant bears no relation to the finished 1970s ad. This entry was posted in Autobiographical, Vehicles and tagged advertising, art directors, background, barnato, Bentley, cars, famous, gesticulating, kodak limited, Morris 8, no prizes, photographic press, photography, promotions, props, scientifi on 17/03/2013 by Paul.